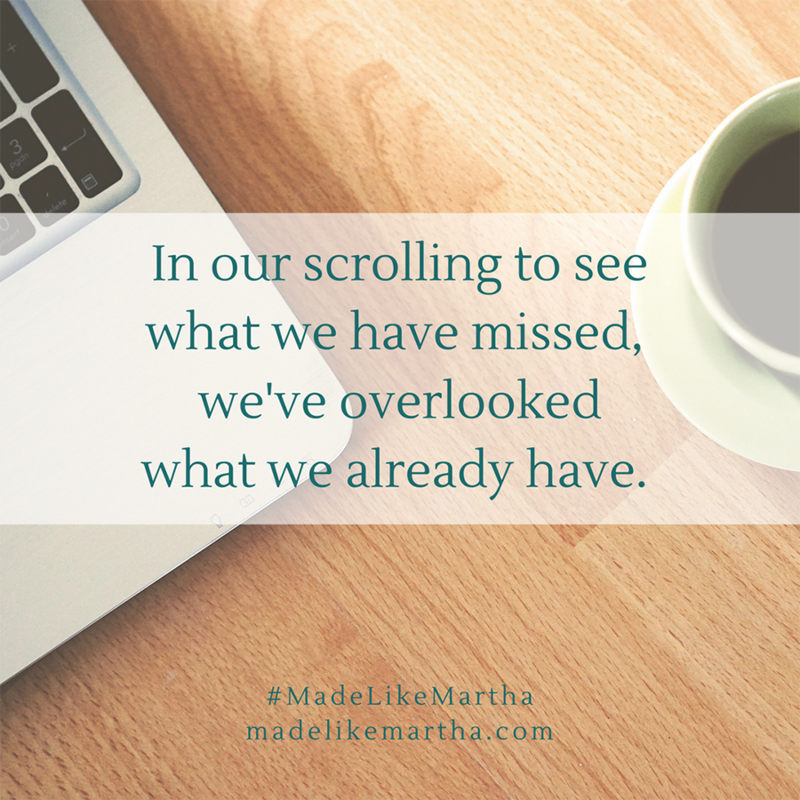 I am often asked questions about my book launch process for Made Like Martha. So I’ve compiled some key takeaways from the experience and am sharing them here. If you are a writer, want to be a writer, or know a writer, I hope you find this information helpful in regards to launching a book. Also, I want to make sure you know that starting today, and running through this week, hope*writers (one of my favorite online writing communities), is opening their doors for a very limited time (only until Friday). I’ve learned a lot about launching a book inside the hope*writers membership site. Learn more and activate your hope*writers membership here. Sign-up for the waitlist for hope*writers and you will be notified when they open their doors again. There is so much I could share about the book launching process. This is definitely not a complete list but hopefully it will give you an inside look into the process. As you may know, I am a planner—a type-A, modern-Martha—who enjoys getting things done. But this firstborn girl met her match with all there was to do, to get ready for a successful launch. I don’t say this to scare you but to communicate that launching a book is a big task! Launching a book is similar to planning a wedding. There are some aspects of the process that are thrilling and other parts that are daunting (and these can differ from person-to-person). But it’s important to diligently check items off the list so you aren’t left with too much to do at the end. When I planned my wedding, I was excited about the ceremony but I was more excited about the marriage. However, when I planned for my book launch, I was more focused on the wedding (a.k.a “the launch date”) than the marriage (the time after the book launched). Since I had never launched a book before, I underestimated the energy, time, and communication that would be required after the book had released into the world. So my advice would be, pace yourself. Get anything done that you can ahead of time. For example: while you’re waiting to get edits back from your editor, gather mailing addresses from those you will be sending books to (endorsers, influencers, etc.). Don’t be a lone ranger as you prepare to launch a book. Gather a team of trusted advisors who can encourage you and help spread the word about your fantastic message. Much of book writing is done in isolation, but launching your book should be done within community. Curb burnout by enlisting the assistance of those who are excited about your book. Launch Team Manager: One way I did this was by hiring an experienced and organized launch team manager. Fellow hope*writer, Kaitlyn Bouchillon, has helped many author successfully launch their book, mine included. Kaitlyn’s launch know-how and administrative skills helped our launch team Facebook group run smoothly and effectively. *Don’t hire a manager without talking to others who have used that person and have been pleased with their work. Also, if you are traditionally publishing, find out if your publisher has a preference on who you use and if they will be hiring them or if you will be. Book Launch Team: Some people aren’t using launch teams as much to help get their message out there, but I can’t imagine what launch would have been like without Team Martha! This group of get-it-done ladies, faithfully shared about the book with their audience, friends, family, librarians, women’s ministry leaders, etc. They prayed, they cheered, they left book reviews, they encouraged, they shared like crazy. Team Martha was an invaluable asset to spreading the book’s message of hope and freedom. *If you are going to host your launch team on Facebook, make sure each applicant has a Facebook account so they can actively participate. Influencers: One surprising thing I’ve heard from other authors is that sometimes those you think will share about your book don’t and those whom you didn’t expect to, will. Maybe those who didn’t are in a busy or challenging season or maybe your message doesn’t resonate with their audience or maybe they don’t know you as well as you thought they did. Whatever the reason, try not to get hung up on who doesn’t share about your book. There are so many factors that may play into this…give others the benefit of the doubt and believe the best. The most enthusiastic people will most likely be: those who know you well (and have the bandwidth to share when the book releases) and/or those who strongly relate to the message you have written. 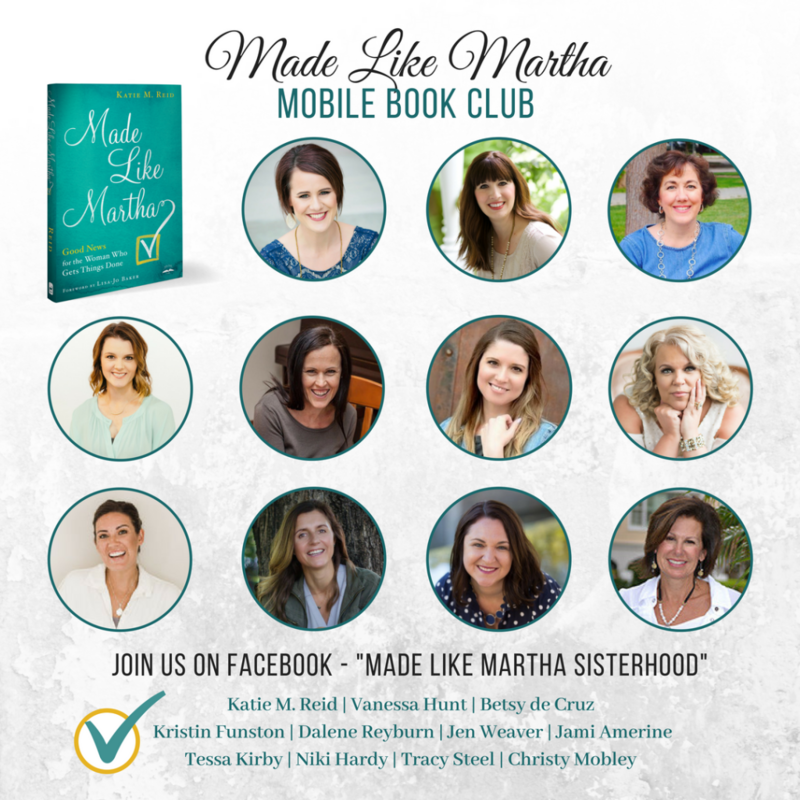 I invited ten women to help me host an online book club for Made Like Martha, in the Made Like Martha Sisterhood (group on Facebook). It was such a joy to have them share about their responses to various chapters (on their blog and via live video interviews). It helped me not feel like a clanging cymbal as they joined me in sharing about the book. It was fun to showcase their words on my blog and introduce them to my readers too. It was a win/win! 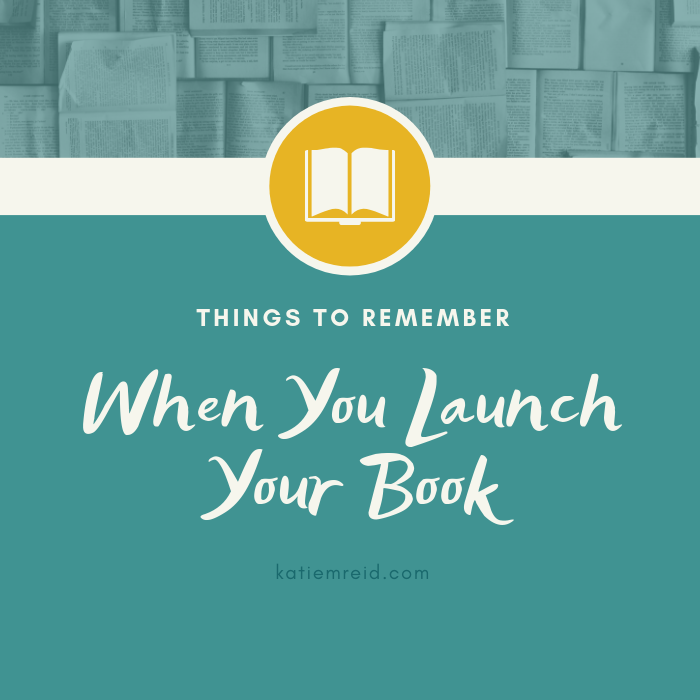 Launch Week Reinforcements: Since I had prepared for the wedding instead of the marriage when it came to launching my book, I found myself feeling completely exhausted on the days right after launch. I stayed up into the wee hours, trying to respond to comments on social media and email requests and I hosted two book launch events a week apart. On top of that, I had numerous guest posts being published on various sites. I hit a wall…physically and emotionally, so I finally asked for help. My friend Bobbie graciously stepped up to the task and saved the day. I gave her my login and password and she graciously responded to social media comments and scheduled links to go out on social media. It was such a gift. In the future, I will either enlist or hire an extra person to help the week before, during, and after book launch, so that I don’t find myself exhausted and overwhelmed. Don’t schedule too many guest posts or interviews to go live all on the same day, try to spread it out just a little bit, so they don’t get lost in the noise. I consider myself a fairly organized person, but again, I met my match with launch. My friend and author, Teri Lynne Underwood, gave me the idea of creating a spreadsheet that I could share with my marketing team to help me keep track of it all. On the spreadsheet, I included (and color-coded): speaking engagements, podcast interviews, guest posts, live video interviews, and launch team info. It helped to see what was coming, and served as a good communication tool to keep my marketing team informed on what I had already done, and was doing, so we didn’t double book. I hosted a book giveaway, for bloggers to offer a copy to their readers. While great in theory, I needed a better system to keep track of who was hosting a giveaway and to collect the winner’s addresses. Next time I will let someone else manage this task as it proved confusing to keep track of, amid all the other plates that were spinning. It’s important to set goals ahead of time and define what success will look like (I think I learned this from hope*writer co-founder, Brian Dixon). If you don’t do this, you are likely to change your definition of success as you go. It’s tempting to want more and more instead of pausing to celebrate what has already been accomplished. Each Team Martha member share the content that Kaitlyn (my fabulous book launch manager) will post in our Facebook Group. We didn’t hit 100 reviews on the 13th but we did a month later. Martha hit #1 bestseller on Amazon (in 4 of her categories) on launch day! While not all launch team members were active (or able to be, due to unforeseen circumstances), many of them went above and beyond and faithfully shared. And most importantly, lives were impacted and freed through this message (and that’s what really matters). While setting tangible goals is great, don’t forget to set goals that will outlast launch week. There is always more you could do to promote your book, but if you try to do it all, you will hit a wall (and it won’t be pretty). Prayerfully consider what is a good fit for your personality, work hard, and let the rest go. What worked for me, may not for you. Know yourself—your strengths, your bandwidth, and your weaknesses. I am so glad that I didn’t stay home all day and stare at my computer or phone on launch day (looking at Amazon stats or refreshing my phone non-stop to see what people were saying). Launch day is what you make it. You’ve worked hard, so celebrate! Don’t wait for the party to come to you. On launch day I did “Where is Martha now” live videos throughout the day. We took Martha to the library (and donated a copy), the local music store (because my son was at music camp), to a hope*writers online interview, a Korean restaurant (which I wrote about on page 79 of Made Like Martha), a nearby Barnes & Noble (where I signed books…call ahead to make sure they are there), to a sports camp (to pick up my kids), etc. It was fun to be out and about, celebrating all the hard work that led up to this point. I also hosted two book launch parties (one was two days after launch and one was the next week). I wouldn’t recommend scheduling an event for the day of launch. I think next time, I will schedule one event (instead of two). They were a lot of fun but a lot of work to coordinate. It was fulfilling to celebrate with people in real life and not just online. Pre-sales are very important. My marketing team was able to secure a guest post on Ann Voskamp’s blog the day before launch day, which helped get the word out. Pre-order incentives should serve your audience well and motivate them to purchase your book. But also don’t discount the value of your book (it’s worth the $, by itself)! My tech gal, Mandy Roberson, recommended that I keep my pre-order incentives open on launch day as well. This was a great tip, to help drive more sales on launch day. Remember that launch isn’t just a day, it’s a season. Make a 3-6 month plan as to how you are going to keep promoting your book in creative ways. Schedule some guest posts and interviews that will run within this window of time. Speaking engagements are a great way to get the word out. When people meet you, trust you, and are encouraged by your talk, they are more apt to purchase your book vs. just seeing it online. There is a let-down period after launch. It’s normal. Give yourself grace and space to reflect. While launching a book is very exciting, it is not more important than people. Your worth is not wrapped up in your ranking or in how many books sell or don’t sell. P.S. If you are looking for more tips and writing support. 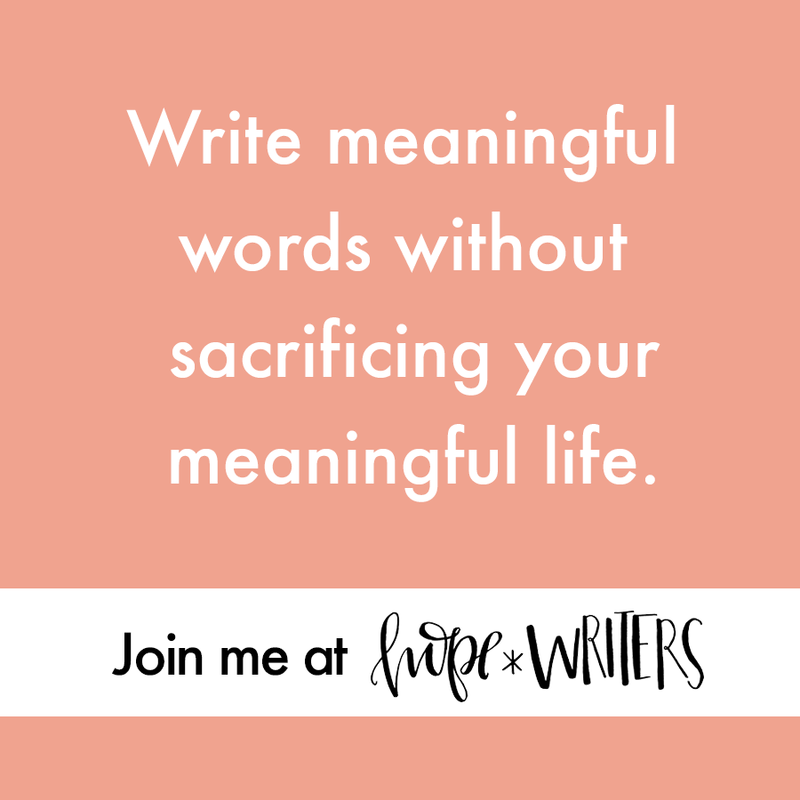 I highly recommend that you consider joining hope*writers! Don’t delay, registration closes soon! Sign-up for the waitlist if it’s already closed. Thank you for your diligent work with Team MARTHA, grateful! So much wisdom. Thanks for sharing it, Katie! My pleasure, Katie. Hope it’s helpful! I’m bookmarking this to help with my own launch this year, Katie. Many thanks for generously sharing all these tips, and I’m grateful that you are helping me too! Hi Sarah! You are welcome. Thanks for being an active member of Team Martha! Thank you for the great advice Katie. I’m right at the beginning of writing a book, but it’s good to know what to expect. You are welcome! Happy writing! Good information. Thanks for your honestly and transparency. My first book launches in November. Thanks so much for this post! I feel both more overwhelmed but also a little more equipped. It’s good to know what I don’t know! Hi Gina: You’ll do great. Focus on what works for you and realize there will always be more you could do but you don’t have to do all the things. Thank you, Katie! I’ve written about half of my first draft so I am sowing all this good info into my brain and heart. I adore hope*writers! Blessings, friend!